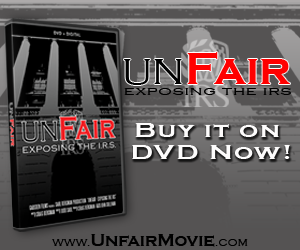 Click this image to see it in full size in a different tab. Republicans in Iowa House District 4 who were unhappy with both the nomination process and the result of last week’s nominating convention to fill the seat previously held by the late-Rep. Dwayne Alons (R-Hull) have launched an anonymous write-in campaign for a third candidate in the Tuesday, Jan. 6, special election. 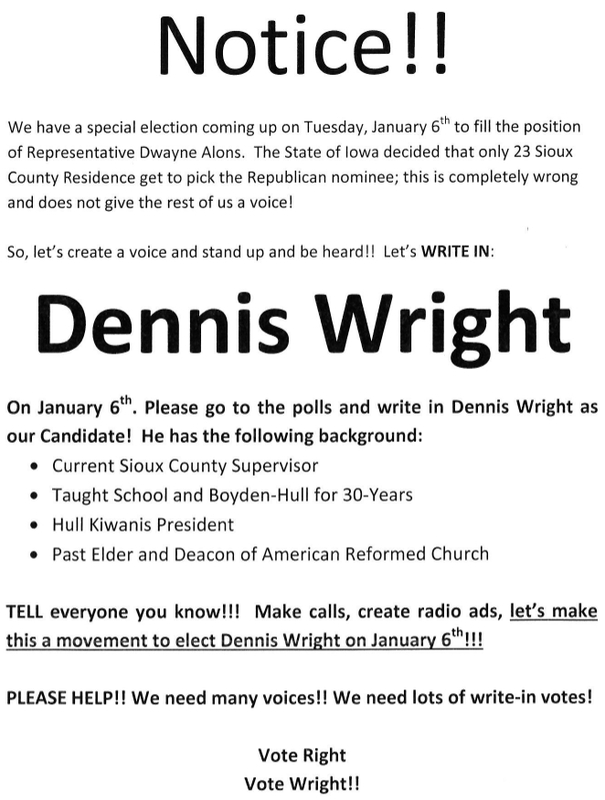 The group, which began circulating a flyer throughout the district, which comprises most of Sioux County in northwestern Iowa, is pushing for voters to write in the name of county supervisor Denny Wright at the polls. In an exclusive interview Saturday with The Iowa Statesman, the Hull Republican said he isn’t behind the campaign, and that he was surprised to learn about the flyers, which were sent to businesses and registered Republicans in Sioux County. “I was shocked,” Wright said. “Another county supervisor got a letter to write my name in. If they want to write me in, I can’t stop people from writing my name in, but I’m not campaigning for the job. Boyden retiree John Kooiker won the nomination Tuesday, Dec. 16, on the third ballot at the nominating convention. Although five other candidates took part in the convention, some Republicans are displeased with Kooiker’s nomination. he is a former elder and deacon at his church. Wright said he didn’t disagree with the group’s assessment. “The gentleman who was selected, a lot of people have trouble with,” he said. “He’s an interesting man, and that’s a big part of it. I don’t want to be critical here at all, but there were (six) candidates and he was the worst. That’s where people are coming from. As for any potential Wright campaign, he said he doesn’t have a strong desire to serve in the General Assembly. He said if he did, he would’ve put his name up for nomination prior to last week’s convention. Iowa law allows for independent candidates in special elections, if one is able to collect enough signatures to appear on the ballot. But Wright said that won’t happen in this case. 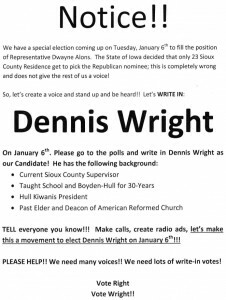 The author of the flyer, who has not been identified, has asked voters in the special election to write in Wright’s name, which is also allowed in the special election. Wright said he believes his past interest in running for the Iowa Statehouse may have prompted the current write-in campaign. Last week, Democrats in the district nominated John Buntsma of Orange City. It is likely any write-in effort could “split the vote,” and helping Buntsma’s candidacy. Wright said he would like to have a conversation with the flyer’s source. Until approached by The Statesman, Kooiker said had believed the “rumor” of a write-in campaign to be false. He said he was told by state Sen. Randy Feenstra that Wright had told Feenstra he was not interested in running for the House seat. Kooiker did acknowledge that some voters were unhappy with the nomination process. But he also pointed out the process was the same that has been historically used for special elections, and that anyone who was interested in running could have participated in the nomination process. One of the criticisms lobbed at Kooiker is his lack of legislative experience.